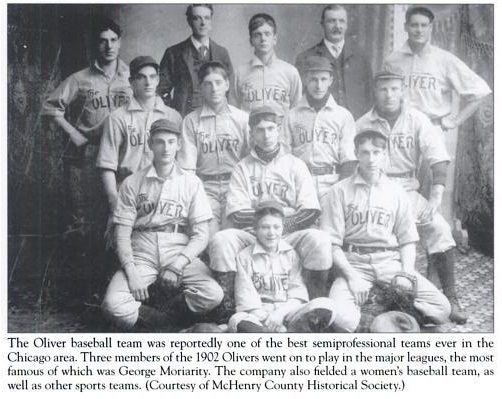 Oliver-trained typewriter machinist-turned pro ball player George Moriarty reached for the sky with his 1909 typewriter invention. 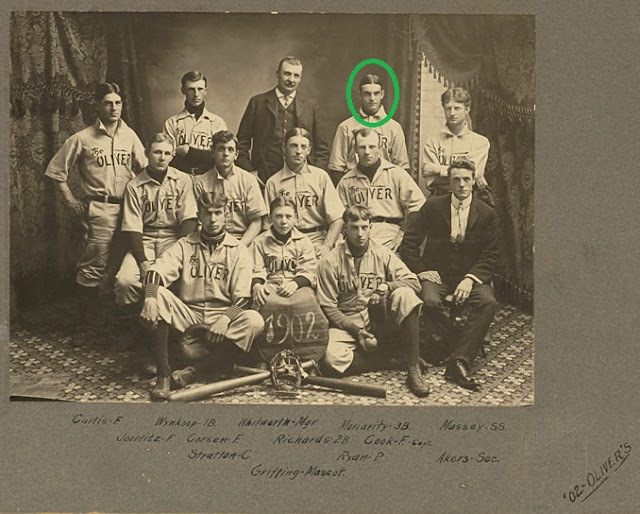 On the eve of St Patrick's Day last year, I posted on the legendary baseball player, manager and umpire George Moriarty, who had started his baseball career playing for the Oliver Typewriter Company team. 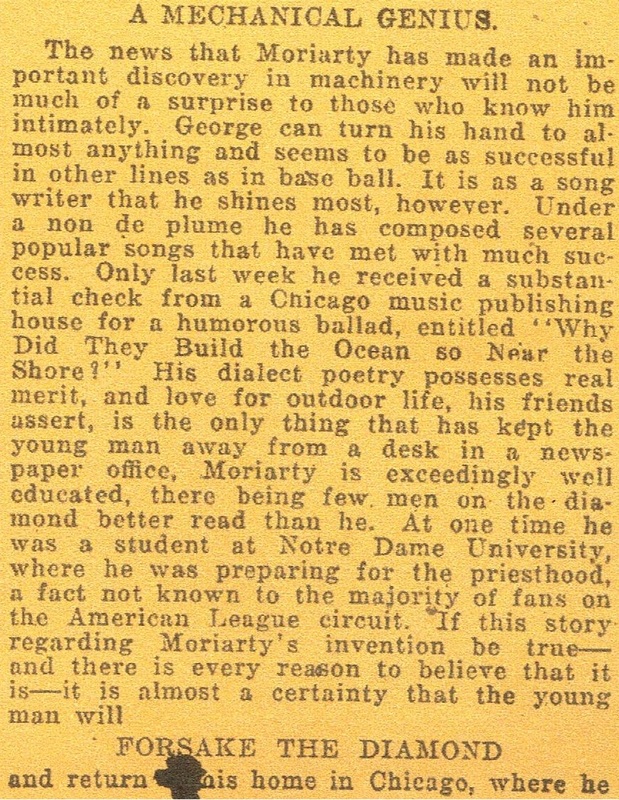 The Moriarty post is here. 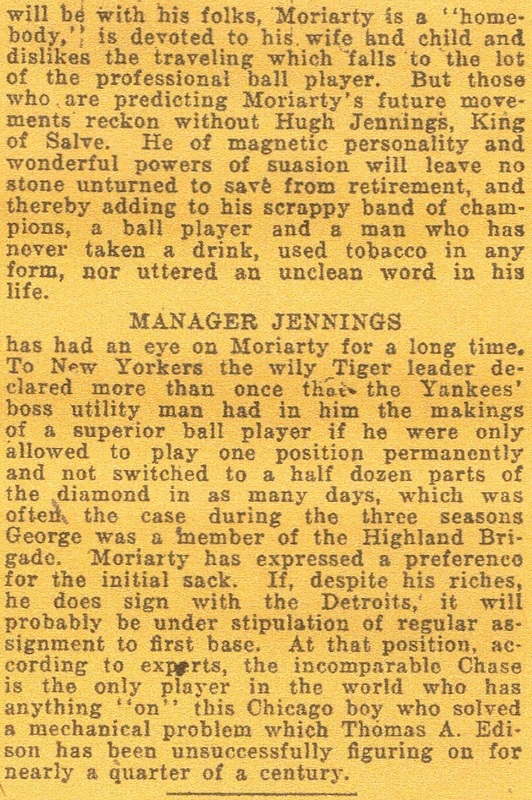 On this day in 1909, Sporting Life published an article in which Moriarty - who while playing for the New York Americans in the Major League continued during the winter months to work as a typewriter machinist for the Union Writing Machine Company - claimed he had invented a device which "will be the greatest improvement to a typewriter that has been invented since writing machines have been in use". 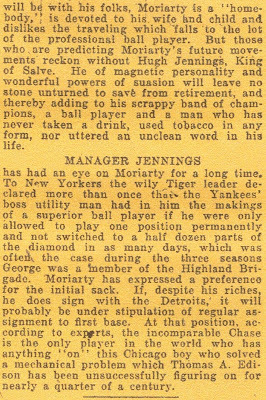 It was set to "revolutionize the present system of typewriting", Sporting Life reported. 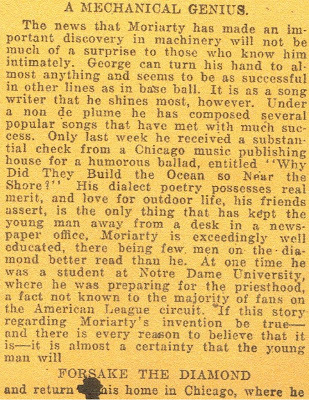 It apparently concerned the typing of a whole word or phrase with a single stroke, with the addition of no further characters. 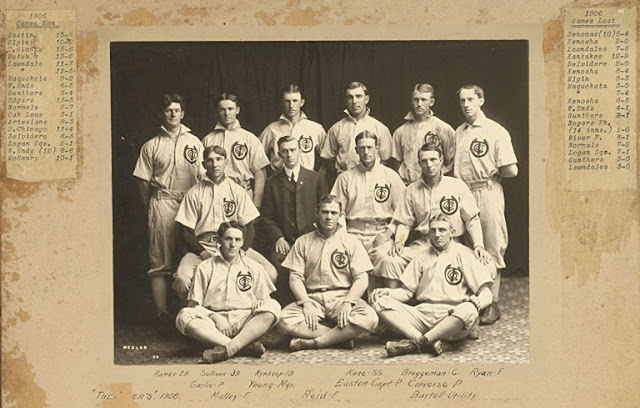 Please see my previous post today on the Xcel Typewriter. 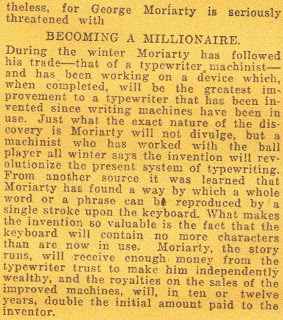 Moriarty's "invention" (it does not appear to have been patented), would make him "independently wealthy", through payments from the Union Trust. 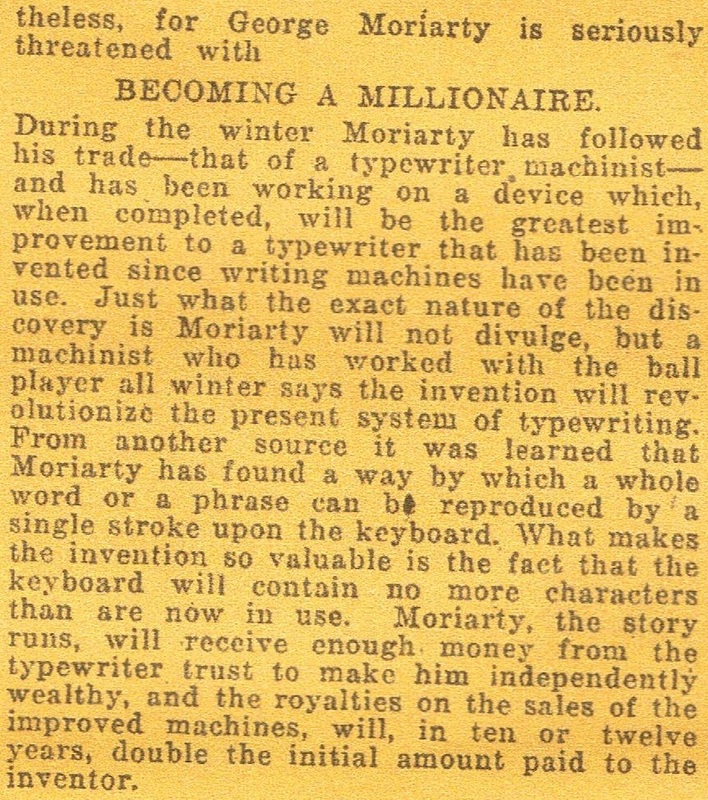 Royalties from the sales of improved machines would, in 10 to 12 years, double what Moriarty would initially be paid by the trust for his invention. Moriarty was so confident about his future financial success with his typewriter invention that he jokingly told Sporting Life he would be able to afford to buy a baseball club or two as "toys" for his son (the "mascot") "should such a whim possess him". That's some crisp uniform and smooth cheeks! He deserved to succeed!